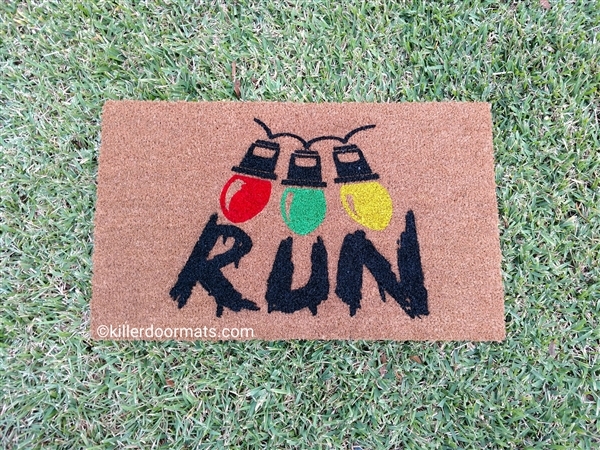 This finished Run mat really has no real flaws other than human error. The first time in production and the design was painted off center. 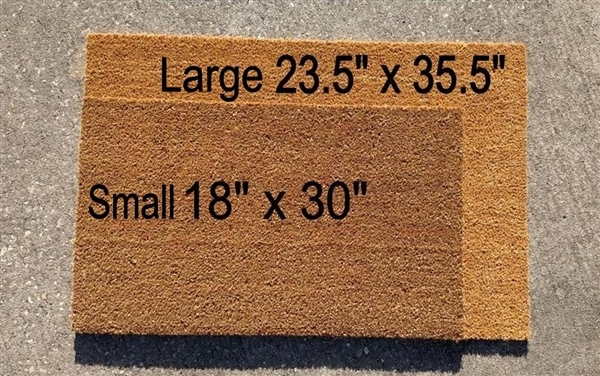 If that is something that doesn't bother you then this mat is marked down for clearance. It is already done, so there no production time and it will ship within 48 hours. Size Small. Only one available. Do your christmas lights send you messages? Well some us receive them from the upside down. This fandom mat is for that strange new show we all went crazy for. Our stranger mat speaks things to your guests, well... it speaks one thing, RUN!